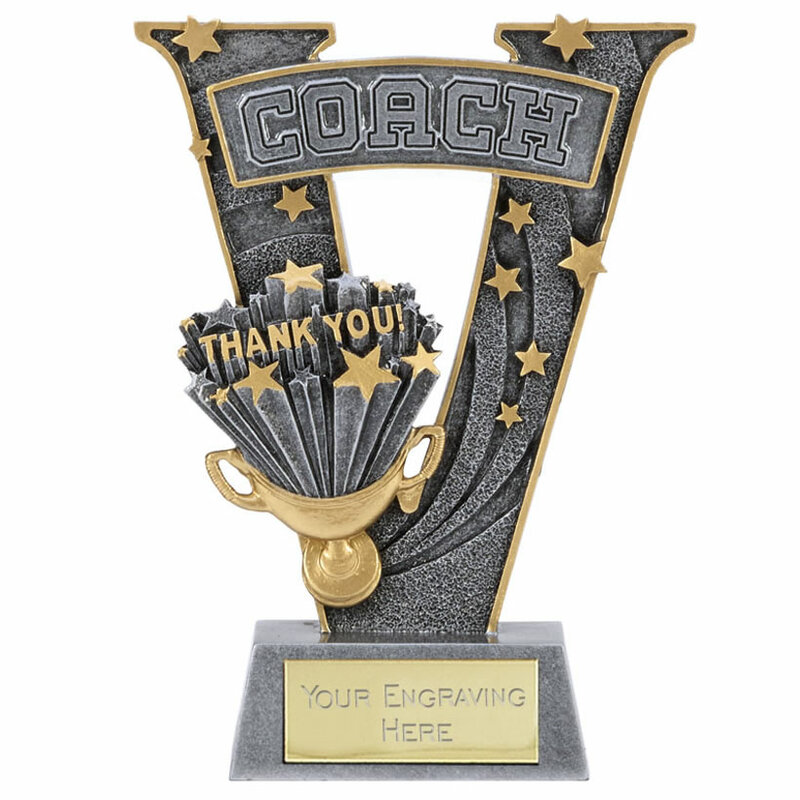 Say thanks to your sports coach with these resin 'Thank You Coach' awards trophies. Crafted in durable resin with a silver and gold colour finish, they feature a V-shape design inset with stars and bearing the legends Thank You and Coach. Set on a bevelled base with engraving plate, these Coach Thank You trophies stand 7.25in (185mm) tall and are offered with engraving options.